Have you ever screwed something up, and then realized that since you’re already boned, you may as well finish the job and just really, really screw things up so it’s a total shitshow? I know I have, and I suspect that was the line of thinking in this Mercedes’ ECU when it somehow caught on fire in the middle of a damn flood. Good job. 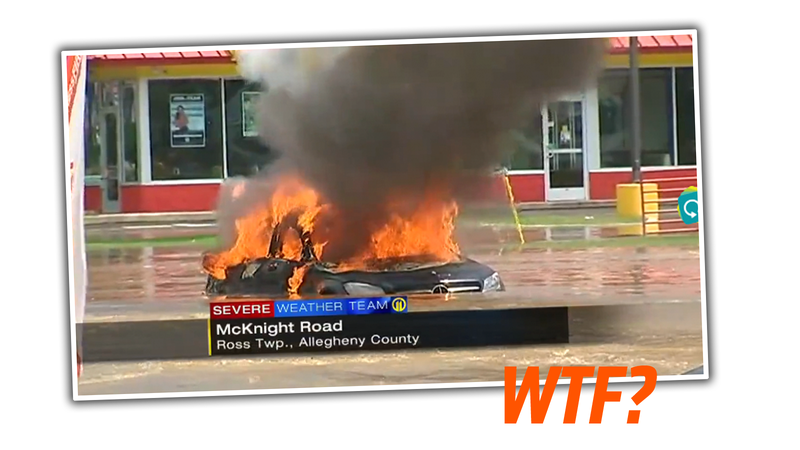 The grimly confusing incident happened in Ross Township, Pennsylvania which has been experiencing flash floods. The car had four people in it returning from a graduation, all of whom were able to safely escape when the flash flood happened, stranding the car in water. After the car was surrounded by about two feet of water, the fire started, because why not? May as well finish the job, right? 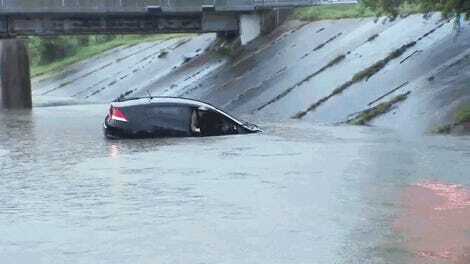 You’d think a flood would seem to be the least flammable condition possible, but that Mercedes was determined. My best guess is that it was an electrical fire, with the conductive water causing a short somewhere in the car that led components to heat up and ignite surrounding flammable materials, and things just went from there. If the fire started in, say, the dash area, it could burn all of that flammable car stuff well above the water line—eventually giving the insurance adjusters two exciting choices about how to total the Benz. Glad everyone’s OK. I hope the owner can at least find some joy telling people that their car burned down because of water.